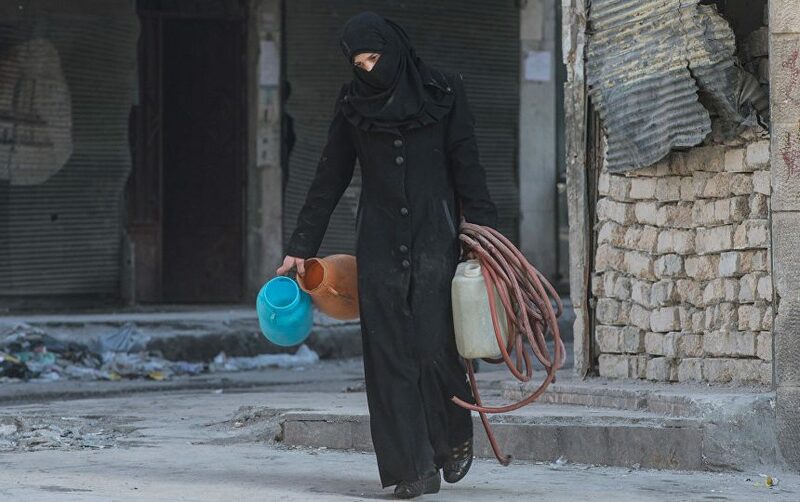 While Syrian government says Aleppo’s water cut is due to some problems in irrigation networks, people believe that ISIS has cut off the water supply. According to a Farsi report by ISNA, mixed reports are heard on the reasons behind the ongoing water cut in Aleppo. The Syrian Human Rights Watch stated that the water of Euphrates which reached Aleppo after passing through the refinery of Al-Khafsah has been cut off. This station is controlled by ISIS. Some sources declared that the water cut was because of problems in electricity networks of refineries in eastern Aleppo; the inhabitants accuse the Syrian administration of “making pretexts”, though: according to certain sources, ISIS has stopped the pumping of water in Al-Forat and Al-Khafsah refineries. Dissident sources indicated that some local authorities, such as tribal leaders, often mediate between the Syrian administration and ISIS to open irrigation canals. The drinking water of Aleppo was cut in its main source by ISIS for three days late in last December. The governor of Aleppo, the Syrian Red Crescent and local authorities had to intervene to end the water cut. The residents of Damascus are not in better conditions, either: they have had no water for 25 days. After the Nusra Front and other terrorists invaded the Syrian capital, the water supply of this city was cut off as well. The efforts of Syrian army to gain control in Wadi Barada and repair the damaged canals and networks have been unsuccessful.